The new 10.1 version of iMovie for Mac has added support for 4K editing, however, it does not mean that you can import 4K video with any format to iMovie for 4K editing. For Samsung NX1 or NX500 users who have recorded 4K H.265.HEVC video, can iMovie has the capability to handle this type of 4K video format? Before answering your question, first let's take a look at iMovie editable 4K file formats. 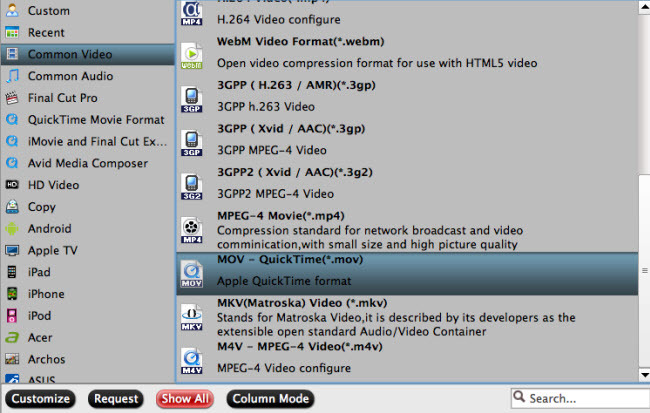 iMovie has native input support for MPEG-4, QuickTime movie mov,MPEG-2, AVCHD, DV & HDV formats. As for 4K video, you can only load 4K MPEG-4 and 4K QuickTime movie mov file formats to iMovie. H.265 is unfortunately excluded from iMovie supported format list. To successfully import H.265 to iMovie, the most simple way is transcoding 4K H.265 to iMovie editable 4K MP4 or MOV file formats. 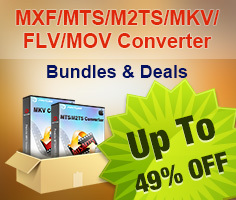 You can make the job easily completed with a H.265 to iMovie Converter - Pavtube HD Video Converter for Mac (best HD Video Converter for Mac Review), which allows you to transcode 4K H.265/HEVC MP4/MOV video to iMovie preferred 4K editing format MP4 or MOV with fast conversion speed and perfect image quality. After you have got iMovie supported 4K formats, you may still suffer 4K video playback choppy issues if your Mac computer does not meet the basic standard for 4K editing: a Mac from 2011 or later with at least 4GB of RAM. (4K playback in full resolution requires an iMac with Retina display or Mac Pro connected to a 4K display). 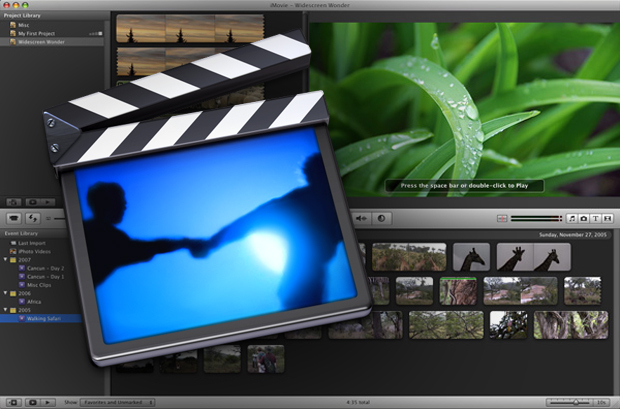 To get a smooth video editing process on a less powerful Mac computer, it is ideal to compress 4K to 1080p or 720p or even small file size according to your situations. 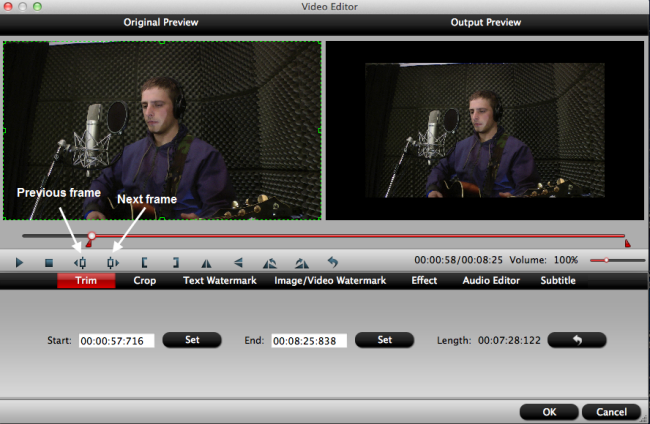 Besides converting 4K video for you, the program can also acts as a simple 4K video editor. You can use it to trim or cut video to leave only your desired parts, crop video to remove the unwanted black borders, merge separate video into one, split large 4K video into small clips, add video/image/transparent watermark to video, insert subtitles to 4K video, remove/replace audio in video, deinterlace 4K video to get better image quality, etc. How to Convert and Compress 4K H.265/HEVC for iMovie Editing? Step 1: Add 4K H.265 files into the program. Run the program on your Mac computer and click "File" > "Add Video/Audio" or "Add from folder" to add 4K H.265 files into the program. Click "Format"bar, from its drop-down list, output iMovie supported 4K editing file formats such as 4K MP4 or 4K MOV, here we select to output "MOV - QuickTime(*.mov)" under "Common Video" drop-down list. Click "Settings" on the main interface to open "Profile Settings" window, click "Size(pix)", from its drop-down list, select "1920*1080" or "1080*720" to downscale 4K to 1080p or 720p for smooth editing workflow with iMovie on less powerful computer. Step 3: Edit H.265 files. After finish the above steps, click the right-bottom "Convert" button to start to convert and compress 4K H.265 to iMovie favorable 1080p/720p MP4 or MOV formats.